« Jennifer Moon featured in “The Baylor Line” for her work at The Dry! Back to the Dry – Summer 2012 Field Season! Yesterday marked the first day of our Summer 2012 field season! For the next two weeks we will be continuing to investigate various parts of the Dry, building off of the survey work done over the past two years. Based on previous surveys and the ground penetrating radar work done by Jennifer Moon, we decided to excavate an area on the Viola Mitchell homestead where we believe that her original dugout home was. 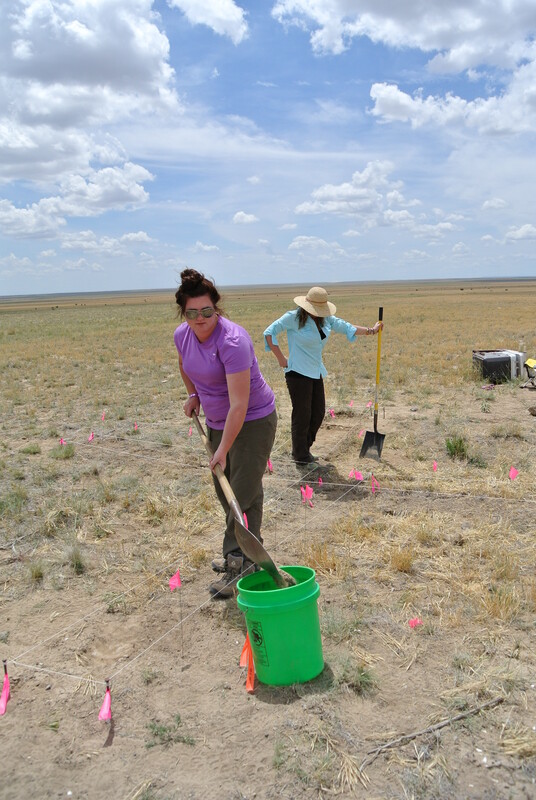 Yesterday we began the excavation process by deciding which specific areas to dig in, selecting areas within a grid that we had laid out on the surface of the earth. 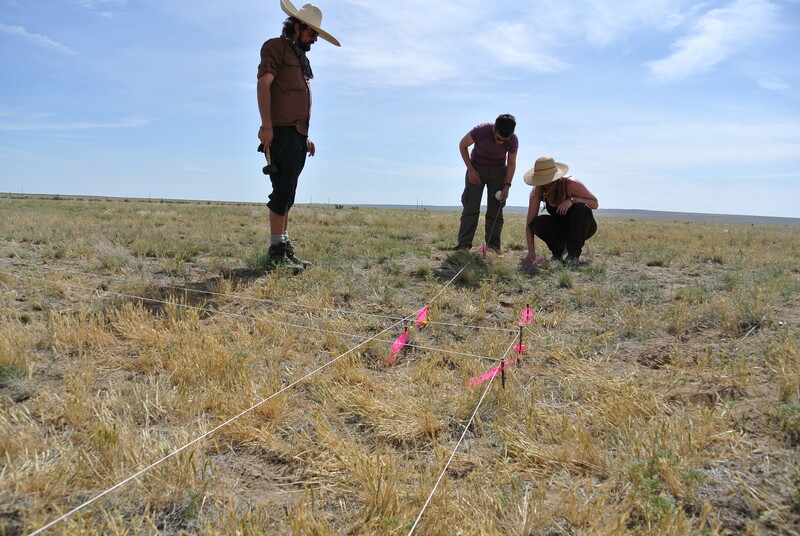 Once we had laid out our units, the areas we will excavate, we carefully mapped out and labeled each area. We began the initial excavation process yesterday by peeling away the top layers of several units. Even after just one day of work we have already had exciting results! Several units were producing an abundance of artifacts, many items similar to what we had found on the surface. After digging down several centimeters on another unit, we noticed a change in the soil, suggesting that this might have been the original wall of the dugout! This entry was posted on June 6, 2012, 7:20 am and is filed under Uncategorized. You can follow any responses to this entry through RSS 2.0. You can leave a response, or trackback from your own site.